It is with great honor that we announce and congratulate Katherine Londono as a recipient of the 2017 Equal Justice Works Fellowship, one of the most prestigious and competitive post-graduate fellowships in the country. Each year the Equal Justice Works Fellowship competition selects qualified and passionate lawyers who have developed new and innovative legal projects that can impact lives and serve communities in desperate need of legal assistance. Equal Justice Works Fellows have represented thousands of adults, children, and families in need in communities across the country. Fellows design unique projects that serve and address a range of legal issues. This year, 77 new lawyers were selected for the fellowship. In an announcement to the College of Law community, Dean Vikram Amar said, "The EJW Fellowship really is a special thing and I am proud that our students have been among its recipients two years running. The fact that newly minted Illinois law graduates are vying for and getting such things is a testament to the quality of our students, and to the hard work the Career Services office is doing to help facilitate success at the very highest levels." Katherine's fellowship is with Make the Road New Jersey, sponsored by the Albert & Anne Mansfield Foundation. Katherine will provide direct representation, policy advocacy, and community outreach to ensure low-income immigrant women throughout New Jersey have access to earned sick time and paid family and medical leave. New Jersey has some of the most robust paid leave policies in the nation. Thirteen municipalities in the state have passed earned sick leave policies that guarantee access to paid sick leave for hundreds of thousands of private sector workers. New Jersey is also one of only three states to currently offer paid family leave to private and public sector workers. But despite these policies in place, workers - particularly low-income immigrant women - frequently face significant barriers to accessing and enforcing the benefits. Katherine's project will help more workers in New Jersey secure these benefits and will support community-led organizing efforts to attain additional local and statewide protections. Katherine says she knew she wanted to work in service of immigrant communities even before she started law school. 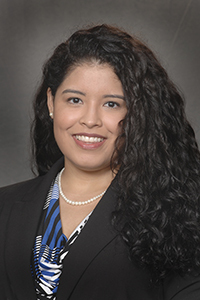 During her time at the College, she participated in the Civil Litigation Clinic and served as president of the Latina/o Law Students Association. She also held public interest legal positions, summering at Farmworker Legal Services of Michigan and the Law Office of the Cook County Public Defender. "Make the Road New Jersey is the perfect organization to host this project because of their deep community roots, experience in local advocacy, and their model, which integrates high quality legal services with community organizing. I hope that through this project we will ensure compliance with sick and family leave laws and increase low wage immigrant women's ability to provide for their families and win justice in the workplace," Katherine stated. We are so proud of Katherine and her dedication to the public interest and improving the lives of others.